Home » Investing » Should You Use Your Home Equity to Invest in the Stock Market? If you are more than halfway through repaying your home mortgage you likely have a decent amount of equity in the house. With refinancing and borrowing against your mortgage rates well below 5%, doesn’t it make sense to take equity out of your house and put it into the stock market? You could double your money if you borrowed at 5% and earned 10% in investment growth — afterall, the stock market has been returning about 10% on average for the past 50 years. It is even more tempting when the market takes the occasional dips only to rebound a few weeks or months later. You could time it to buy on the dips and cash in even more. 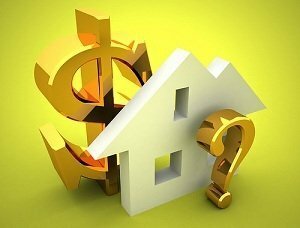 The odd seems to be in your favor, but is it smart to use your home equity for investment purposes? This is a risky situation, but sometimes risk results in a very high return. Let’s look at the potential upsides and downsides of tapping your home equity for investment purposes. Your home equity provides some downside protection for you (and more likely, your bank) in case you need to sell your home when you move. If you owe $160,000 on a $200,000 home you can probably sell the home at a discount, pay your realtor fees, and still pay off the loan. You might walk away with nothing, but your equity covers the losses you incur. But if you never plan to move you could have a lot of money sitting in your home not earning any kind of return. Your home equity doesn’t pay interest, so anything you can do to generate a positive return after lending costs is a good financial move. As noted, the stock market has historically returned 10%. Home mortgage rates are currently in the high 3% and low 4% range. That is an all time historic low. You could borrow money at 4%, and even earning a return of 5 or 6% would mean more money in your pocket. You could also get lucky and take that $40,000 in home equity and generate a 500% return in the first year. That would be enough to completely pay off the mortgage and cash out refinancing loan you took to invest. While the idea of earning some sort of return on your home equity is appealing, that thought should be countered by the risk of losing your home to foreclosure. There are incredible risks to using home equity as a pool of money to invest in the stock market. First, you are not guaranteed a 10% return. Investments do lose money in the stock market as seen by the recent financial crisis. Sure, your money might return 10%. It also might return 200%. But all investments are at risk for loss, so you might lose all of it, leaving you with nothing to pay your home equity loan or HELOC back with. You would literally be starting over on paying off your home. Second, the cost of borrowing is a guarantee cost that digs into any investment return that you might gain. If you use HELOC, you will have to pay interest on the loan. If you use cash-out refinancing, you have to pay refinancing closing costs on top of interest on a larger loan. For example, a cash out refinancing might cost you $2,000 in closing costs. That $2,000 means you first have to gain $2,000 (after taxes and trading fees) from investment to pay for the closing costs. Assuming you invest $40,000, that’s 5% of your investment. If you earned 10% growth the first year that would be $4,000, so paying for closing costs would be 50% of your return. You would have to be lucky and/or intelligent enough to string together several years of gains to make a nice return on your investment. Third, you would be giving up the greater security of having equity in your house. You might think you are going to live in that house forever, but three years later you get promoted and need to sell the house quickly. You might lose your home equity by dropping the price on your home significantly, but it would probably cover you enough that you wouldn’t have to bring extra money out of pocket to pay off the mortgage after moving. The bottom line is that borrowing against your house for any purpose — investment, repair, to fund other purchases — is incredibly risky. While there is potential to earn a higher return than your borrowing costs and thus turn your equity into an income stream, the risk is simply too high to justify considering it. Does It Make Financial Sense to Walk Away from Your Mortgage? @Alexandra – What do you mean by a “0 mortgage”? Do you mean you don’t have a mortgage? @Pinyo I agree with you. Rental property is part of your asset allocation. I would not own REITs if they would make my asset allocation over my target. @Ken – I agree with your view. If I own a rental property, should I also own REIT? My take is if I am allocating 10% of my portfolio to real estate, I should NOT buy REIT if that plus the rental property put me over 10%, i.e., you add them up. @Chris – Yeah, the condition is very enticing (low mortgage rates and decent upside potential for the stock market), but I agree…it’s too risky. This is a dilemma I’ve thought about often, especially when after a few years of heavy losses. When I lived in San Francisco during the dot com boom, I saw people effectively doing this. Houses were going up 20 percent a year and people felt safe. We all know how it ended. The dot com stocks became worthless and the money they took out was gone. It’s really taking on a lot of risk because if you lose the money in stocks, and you lose the equity in your house, then you have the potential to lose everything. Personally, I think a personal residence should be thought of as a completely separate asset from your investments. It’s a place to live and provide shelter and a “way of life” for your family. Ideally, the goal should be debt free regardless of what the interest rate is. I know that is conservative, but those that incorporated that belief still have their homes! Rental Properties should have to stand on their own. I don’t have any problem with borrowing for them as long as they are not in any way tied to your resident (no borrowing on your home to buy rentals). @Ken – I agree with you. Although, it is very tempting to unlock your equity and cash out for a very low interest rate. The math makes sense, but the added risk is something to strongly consider. Anyway, I’d love to hear more about your thoughts on when a house is or is not an investment. Does this apply to your primary residence only? What about rental property? I believe in investing in stocks! They are the best means for most people to generate wealth over the long run. BUT using home equity to invest in stocks is NOT a sound financial planning strategy! Your home is not an investment contrary to the way most people have thought and managed their finances. That is part of the reason we experiences a price bubble in housing. Keeping your home and investment separate IS a sound financial planning strategy!